Calling themselves Local Control Texas, a group of unlikely allies is mobilizing to enlist small and large cities across Texas in the fight against Gov. Abbott’s call to overturn local ordinances on plastic bag bans, tree preservation and fracking. 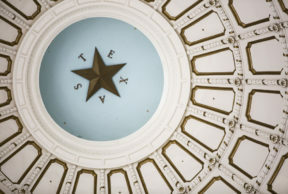 Local Control Texas has had some successes, getting Montgomery Texas to consider resolutions that call some of the proposed legislation and overreach. The Texas Standard spoke to Asher Price, a reporter at the Austin American Statesman who has been following the story. Who are these unlikely allies? What is it that drew your attention to this group? What impact do you think this is going to have on Texas culture? This story was prepared with assistance by Brenda Lau.